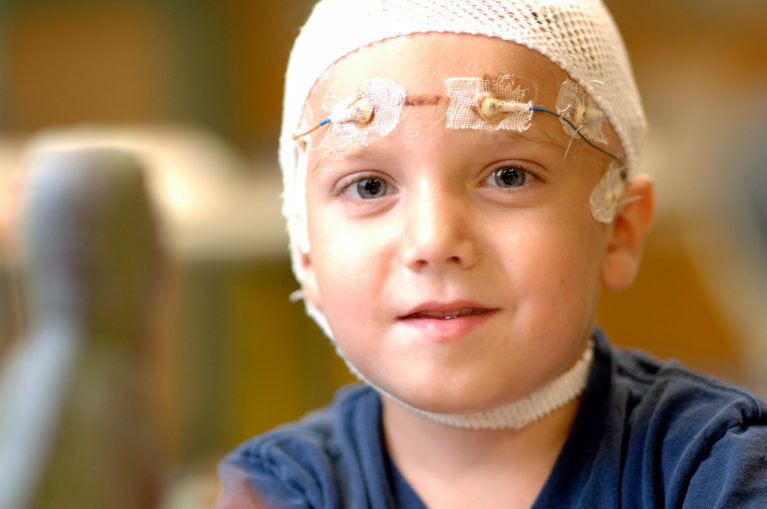 Home/Child Injury, Personal Injury/Can You Sue For Lack of Advice About Childhood Epilepsy? There is a case for a medical malpractice lawsuit against a medical institution, a physician or any other medical personnel if there is sufficient evidence that negligence to any significant degree on their part contributed to an illness or injury. This is true whether the person affected by this negligence is yourself or a child of yours. In this article we shall consider the evidence of a link between a pregnant mother’s level of obesity as measured by her body mass index (BMI) and the likelihood of her newborn infant having childhood epilepsy and whether this can be blamed on the level of guidance or the lack of it by a physician. Premature birth leading to respiratory distress. This is when the lungs have not yet developed adequately. Neonatal jaundice. This is caused when the newborn baby produces excessive amounts of a substance called bilirubin. This can damage the brain and cause cerebral palsy. Lack of sufficient oxygen at birth (hypoxic ischaemic encephalopathy). This is most likely to be caused by delayed delivery or prolonged labor. Neonatal hypoglycemia. This is caused by low blood sugar in the newborn, which may be a result of maternal diabetes. Neonatal convulsions. One of the most common causes of neurological disorders in newborn babies, including epilepsy. While not all of these causes can be directly linked to maternal obesity, one particular study in Sweden has suggested that the higher the pregnant mother’s BMI during pregnancy the higher the rate of childhood epilepsy after childbirth. This very extensive study involving 1.4 million pregnant mothers contradicted an earlier more limited study that did not indicate any significant connection. The Swedish study was carried out by a team lead by Neda Razaz at Stockholm’s Karolinska University Hospital which showed that there was a significant link between the BMI of the mother and the degree of childhood epilepsy. The incidence was 11% greater for babies born to “overweight” mothers and as high as 82% higher in babies with mothers with a BMI greater than 40. The results were sufficient for an editorial in the Journal of the American Medical Association (JAMA) which published the research to suggest that epilepsy in children could be reduced by using “public health strategies” that prevented or reduced obesity in women of reproductive age. Obstetricians and neurologists could help to minimize childhood epilepsy by advising pregnant women who might have a higher than normal BMI , according to Ohio State University Wexner Medical Center MD, William Bell. The good news is that not all newborns who are born with childhood epilepsy continue to be afflicted with it throughout the rest of their lives. Many are able to live normal lives with reduced seizures or with no recurrence of the epilepsy at all as they grow older. However, unfortunately, a minority of afflicted children will continue to suffer from a number of negative health effects throughout their lives. In addition to the seizures themselves, there might be intellectual disabilities as well as a number of psychological problems including autism, anxiety, depression, attention deficit disorder (ADD) and attention deficit- hyperactivity disorder (ADHD). Physicians that are giving guidance for childbirth have a clear role in providing warnings about the health effects of obesity and should provide clear guidelines to pregnant women about reducing their obesity levels during pregnancy. Research seems to indicate that the best advice is to suggest a mixture of dietary changes and moderate exercise. If you have given birth to a baby that has birth defects including childhood epilepsy and believe that this may have been due to negligence on the part of medical personnel during your pregnancy or during child birth itself, you should talk to one of our sympathetic and knowledgeable medical negligence attorneys at the Keith Williams Law Group here in Nashville, Tennessee. We will be able to discuss your legal options and evaluate the chance of a medical malpractice lawsuit which may help to procure the funding to help you and your child cope with a long term affliction that was due to avoidable medical negligence. Ring us to arrange a consultation at (866)820-4457.